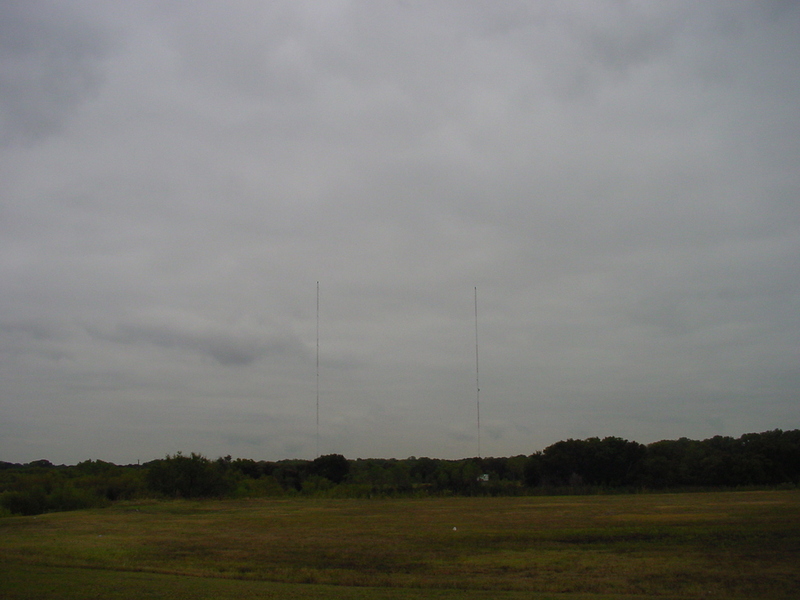 Our first stop after Wally picked us up on Friday morning was the two-tower site of KKDA (730 Grand Prairie). KKDA is a DA-N with 500 W day and night, programming R&B oldies. This site is located in the flood plain of the Trinity River off North Belt Line near I-30 (or IH-30, as TxDOT calls it).